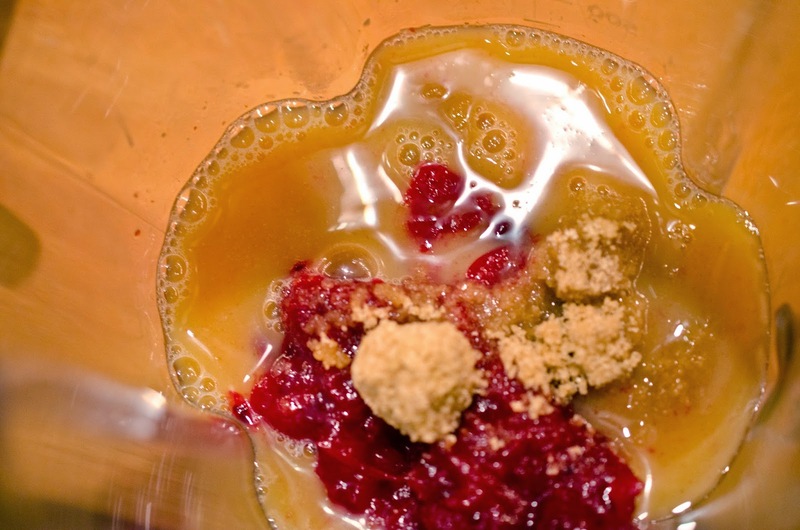 Remember that cranberry sauce you made for Thanksgiving ages ago and didn't eat all of it? Oh, you ate it all? Well we had some and I thought it would make a delicious barbecue sauce. My recipes almost always have destiny. 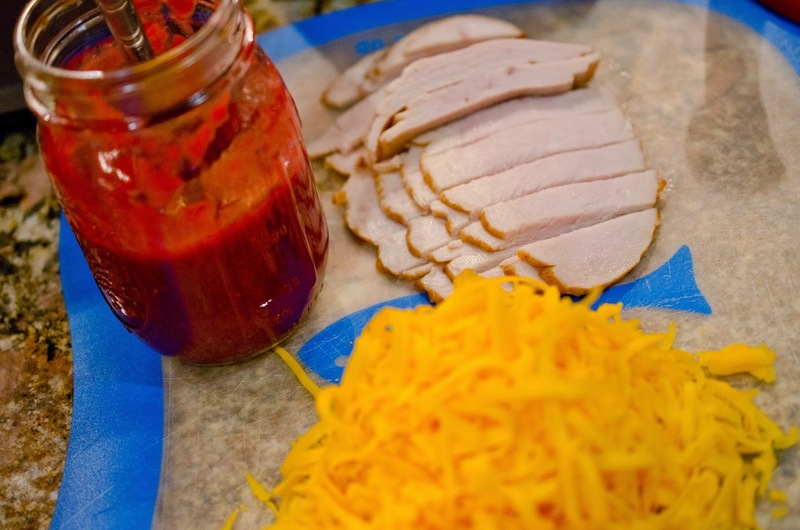 This particular recipe is destined for a turkey and cheese pizza. Yep I was reinventing Thanksgiving dinner as a pizza. 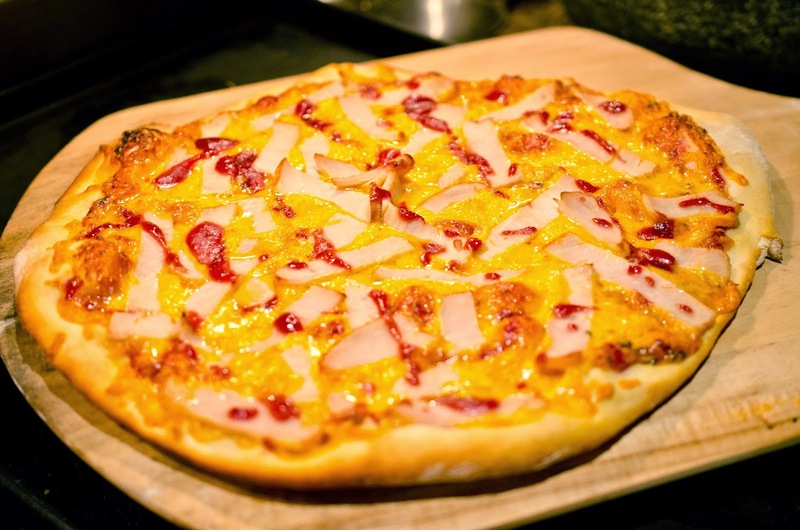 Anyway, you don't have to try my idea, but if you do, I think you'll like this new spin on a Thanksgiving pizza. Pizza is our Friday tradition, and this was a great addition to our traditional pepperoni. 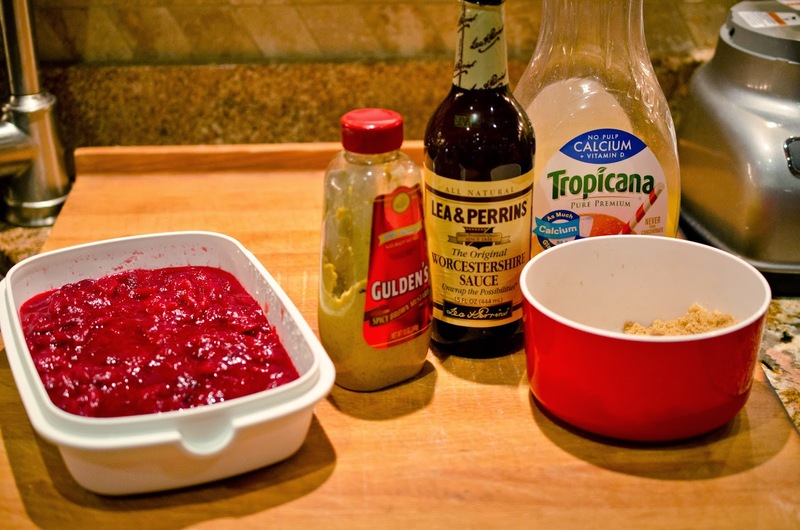 Cranberry barbecue sauce, the secret sauce of the delicous cranberry turkey pizza. and simmer until thickened about 10 minutes. Remove sauce from sauce pan and pour into lidded container, I used a pint sized Mason Jar. Preheat oven to 500 Farhenheit for atleast a half hour after the oven has reached temperature. 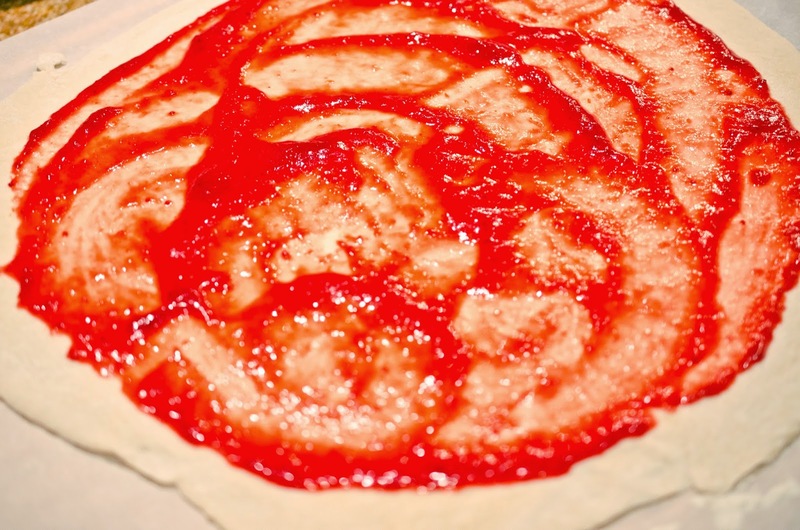 Roll out pizza dough to 12 inch wide thin circle. Spread a thin layer of sauce. 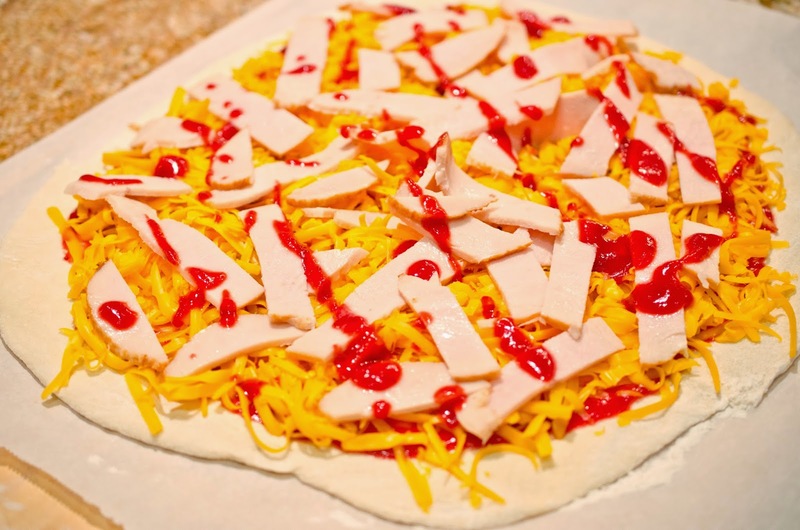 Add all the cheese, then the turkey and finally drizzle some more sauce on the pizza. enough to cut and become slightly solid. 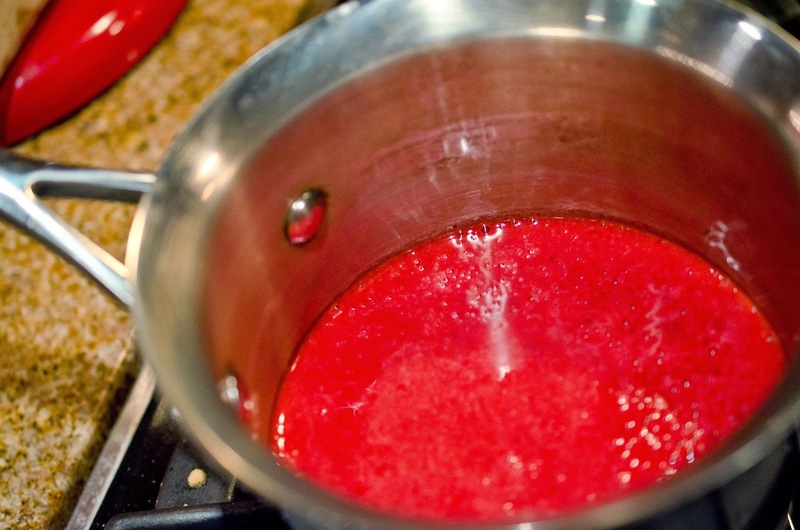 Pour sauce into small saucepan and boil over medium heat and reduce heat to low and simmer until thickened about 10 minutes. 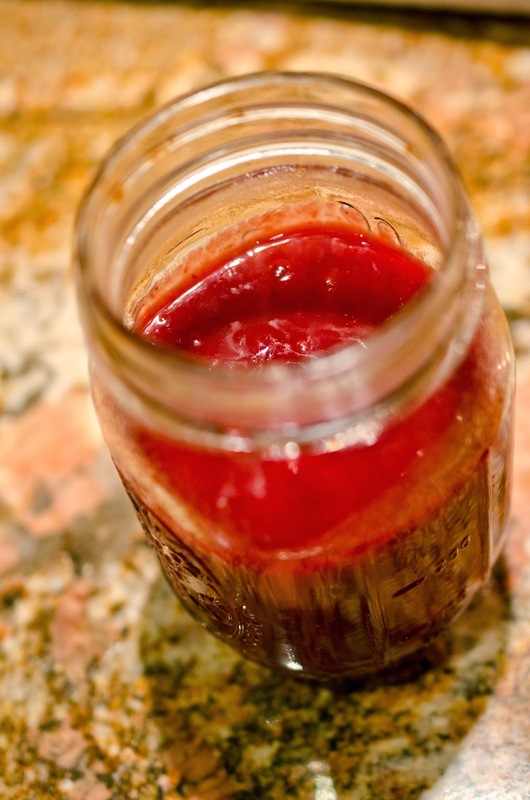 Remove sauce from sauce pana and pour into lidded container, I used a pint sized Mason Jar. Bake pizza on the bottom of the oven for 5-8 minutes, until golden brown around the edges and underneath. Rest for three minutes before slicing, this allows the cheese to cool enough to cut and become slightly solid.